A five-year reauthorization bill for the Federal Aviation Administration (FAA) is currently making its way through Congress, and as boring as that sounds it holds major implications for air travelers. In recent years the FAA has deflected consumer requests for airline reforms by saying it's up to Congress to make those decisions. So the legislation passed by the House, and now pending in the Senate, addresses some of those issues. The House-passed measure instructs the FAA to set rules for airlines when configuring cabins. It requires a minimum for the width of a seat and the length and distance between rows. 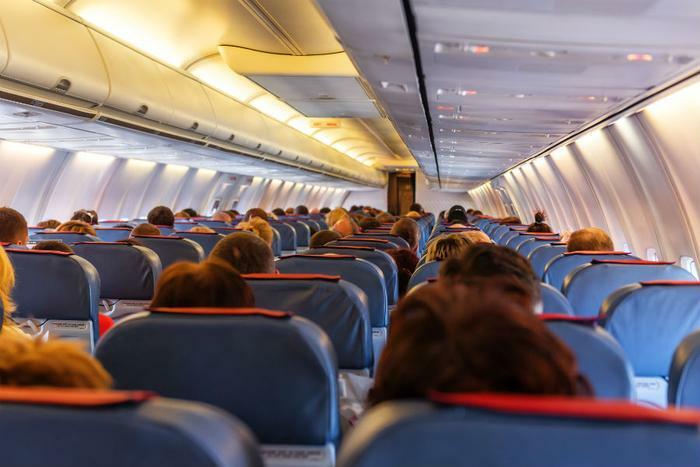 This has long been a major source of air traveler complaints who find it difficult to squeeze into ever-shrinking seats with little to no leg room. The consumer group FlyersRights.org says the FAA has consistently refused to set minimum seat standards because the airlines don't want them, even though there are safety issues involved. While the House bill requires the FAA to set minimum standards for seat sizes, the measure doesn't specify what those standards should be. The Senate version of the legislation does even less -- only requiring the FAA to conduct a study to determine whether there should be minimum distance between rows. Travelers who suspect that space has been shrinking are probably correct. According to USA Today, the pitch -- or distance from a point on one seat to the same point on the seat in front -- has declined over the years in Delta, American, and United economy class seats. In 1985, the distance was between 32 and 36 inches. In 2014, it was between 30 and 31 inches. Assuming the final legislation requires the FAA to set minimum seat standards, the agency will likely take public comments into consideration. Those comments will not only include opinions from the flying public, but also the airlines themselves. The airlines have already had some influence on the House version of the reauthorization bill, which removes a 2012 rule that airlines must include all taxes and fees when they advertise a fare. Airlines have never liked that rule, and according to the Chicago Tribune, focused their lobbyists on overturning it. Meanwhile, the Senate version of the bill would prevent airlines from tacking on "unreasonable" fees for cancelling or making changes to tickets. Other fees charged by the airlines would have to reflect the airlines' actual costs.